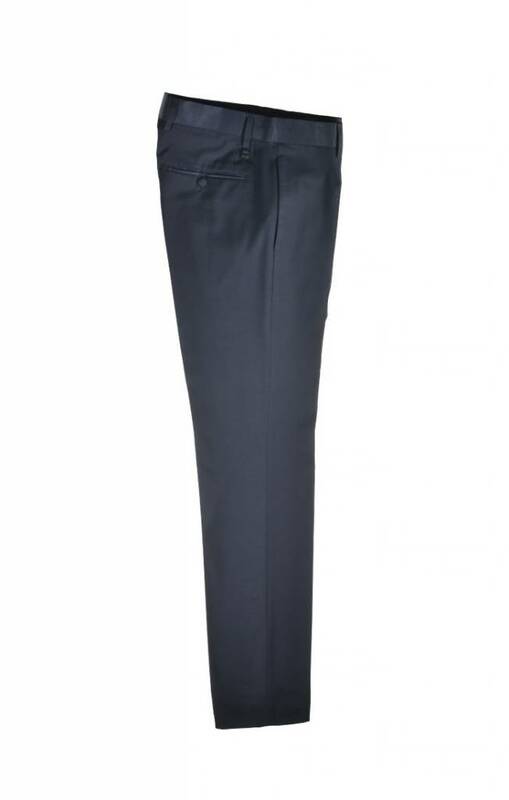 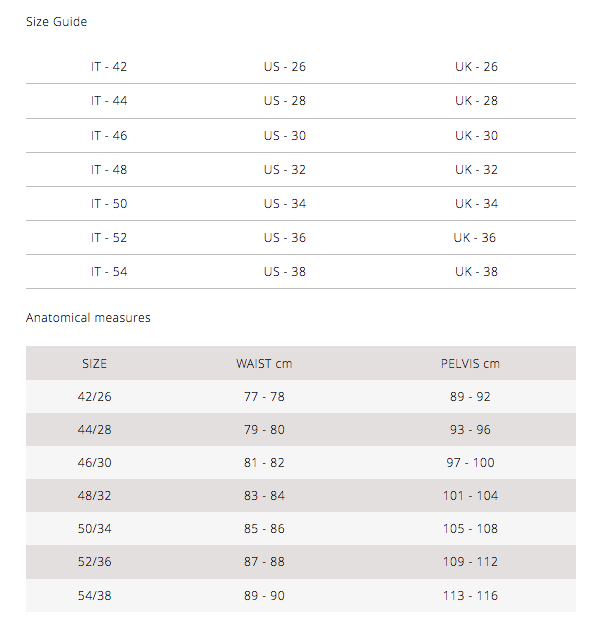 Slim fit trouser pant with textured contrast waist trim, invisible closure, and a 4-pocket design with button closures. 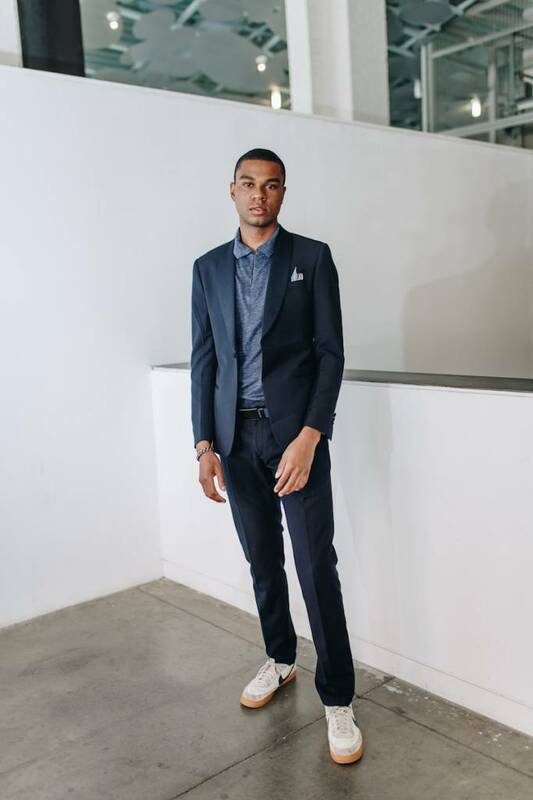 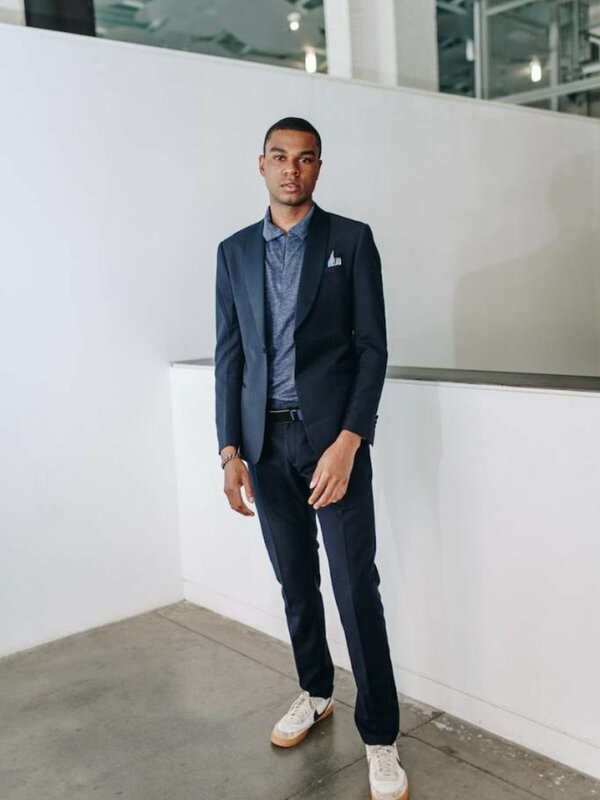 This closet staples can not only complete several suits, but are easily styled up or down for a versatile, well fitting pant. 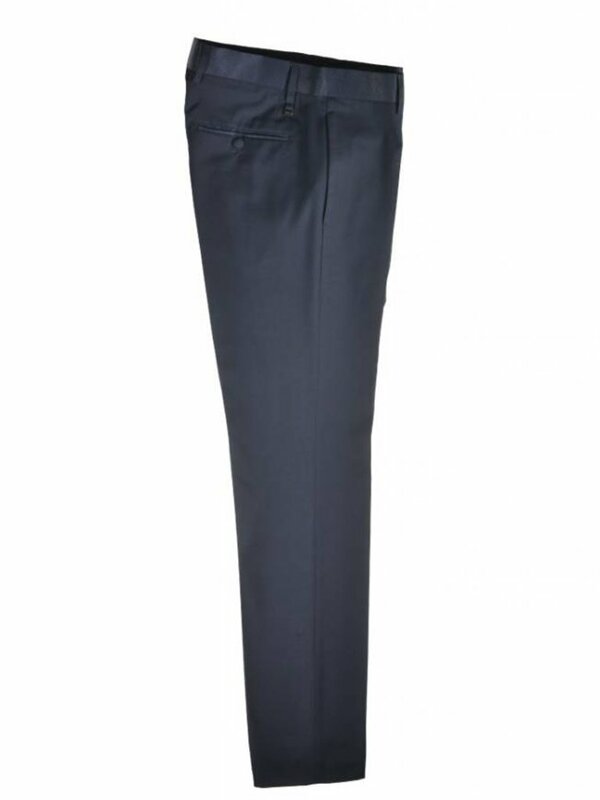 These slick trousers are compatible with our 'IN CONTRAST' blazer as a winning pair - but this piece also fares well alone with a light blue or white woven shirt, polo, canvas be,t and casual shoes - the minimal details allow for true styling freedom.